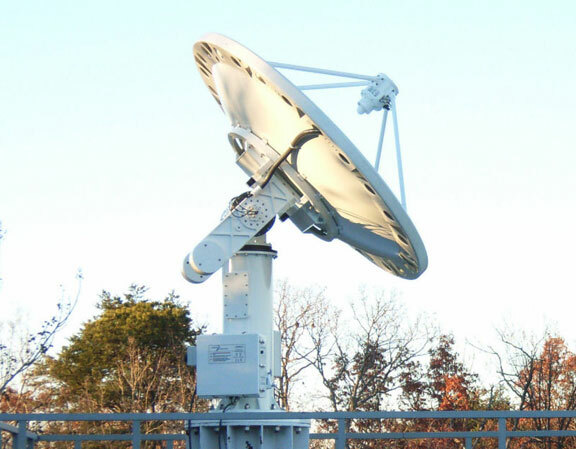 This 2.4XLB EOS DB reception system is the “reference” antenna used by the NASA Direct Readout Laboratory (DRL) to collect MODIS data and for the development and support of the IPOPP high level processing software used by many research installations. 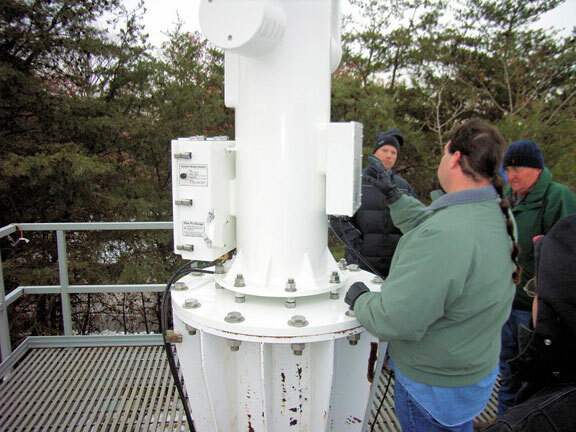 This 2.4AEHP antenna positioner is serial #1 and was installed in 2005. 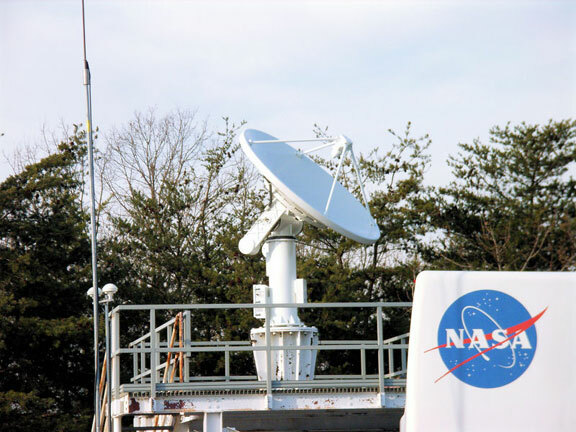 The DRL facility is also responsible for the RTSTPS and Simulcast software which is part of the Orbital Systems EOS-FES used for framing and Reed Solomon processing of MODIS data and writing level 0 files. Simulcast keeps low level snapshots of data collected and provides a realtime view during a satellite pass. Orbital Systems used the DRL facility to test the level 0 file integration of the EOS-FES with the IPOPP high level software processing package developed by DRL. This system also has the Fiber Option for the 2.4AEHP. This is a single mode fiber connection between the antenna and indoor equipment that carries both the RF data from the antenna and control signals between the indoor antenna control software and the antenna positioner. Although the distance between these two points was only about 200m, a tall radio tower between these locations attracted lightning strikes that caused severe ground voltage surges that often burned out control interfaces of earlier antennas and indoor equipment. 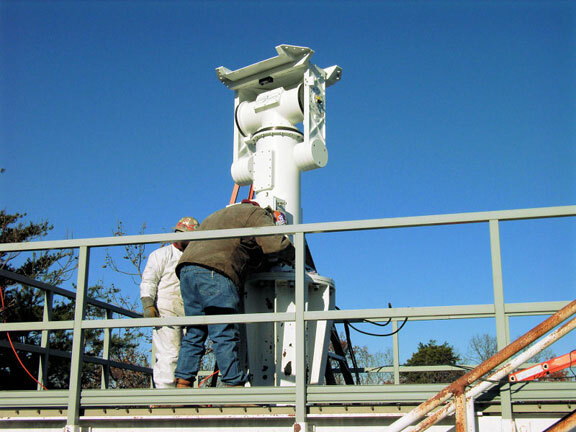 Since the installation of the Fiber Option in 2005, there have been no further incidents.